I was cleaning the toaster and I forgot to unplug it first. That’s what having a seven-year-old with verbal diarrhoea and real diarrhoea, both at once, can do to your mental faculties. Whilst emptying the equivalent of three whole loaves of bread, transformed into burnt offerings, out of the bottom of the toaster, my fingertips accidentally got inside the place where the toast is meant to be. 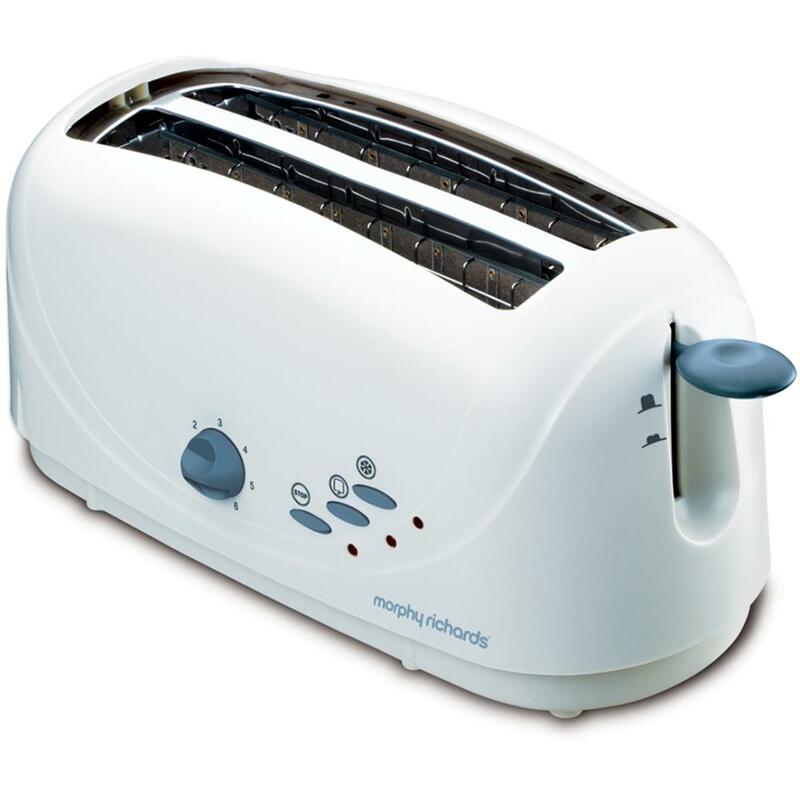 This can toast bread and can also kill you. Beware! The thing that was most impressive, though, was that after a short amount of time (though it felt like ages) the power to the whole house shut off. Inconveniently, the 240 volts I could feel rushing up and down my arm, with nowhere to go, took far longer to shut off. They eventually settled in my brain so that, when Hubby came rushing to investigate my cries of agony, I was unable to speak Italian at all. “Elettricità” I eventually shouted at him, after much inarticulate yelling. “In me!! !” I screamed in desperation. Eventually he spotted the guilty toaster lying on the floor, surrounded by bread charcoal fragments, and put the clues together. Anyway, he hugged me, sat me in a chair and tried to flatten my hair a bit. Then he did the most sensible thing possible, and prepared me a cup of tea with sugar in. As all English people know, tea with sugar in is the world’s most powerful medicine and can cure almost any medical condition if administered in sufficiently large doses. Hubby knows the required doses. Well, the electricity shutting off was thanks to a clever thing called a salvavita, a “lifesaver.” Maybe this is called a circuit breaker in English – I’m pretty vague on this kind of thing. I just wish to say it did save my life and I hereby revoke, deny and formally withdraw all my former disparaging comments and incriminating photographs regarding Sicilian electricians. They are great men, heroes, and the work they do saves lives. Well, this all got me thinking about how dangerous housework clearly is. I have been doing research into domestic deaths and discovered that nearly all of them are caused by doing housework and domestic chores. Every year, 18,000 Americans die in their homes, most of them as a result of doing housework. The number one cause of accidental domestic death is falling off things. So, if your curtains look terribly grimy, DO NOT climb up a ladder so you can wash them. Play safe, and get used to them as they are. Are the tops of your kitchen cabinets coated in greasy dust? DO NOT risk scaling a ladder to wipe them. Nobody can see up there anyway. The number two cause of death in the home is poisoning. This is clearly caused by the professional housewife’s reckless habit of hoarding cleaning products. Having them is already risky, but getting them out and using them round the house is even more perilous. Be cautious and simply never allow them in your home. The third biggest home killer is fire. As anyone logical will know, cooking causes fires. Buy ready meals instead, and eat them straight out of the packets, if you want to protect your family from danger. The fourth culprit is choking and suffocating on small objects. This means toys. Instead of repeatedly chasing up 3,000 pieces of Lego all over your house, retrieving pieces of transformers from under your sofa for an aggregate 2 hours each day, and putting Barbie’s colossal shoe collection back in the toy box over and over again, you would be far kinder to your children if you get a big broom and scoop the whole lot into the bin once and for all, and never buy any new toys again. And never give them any pocket money either because lots of kids die choking on coins. 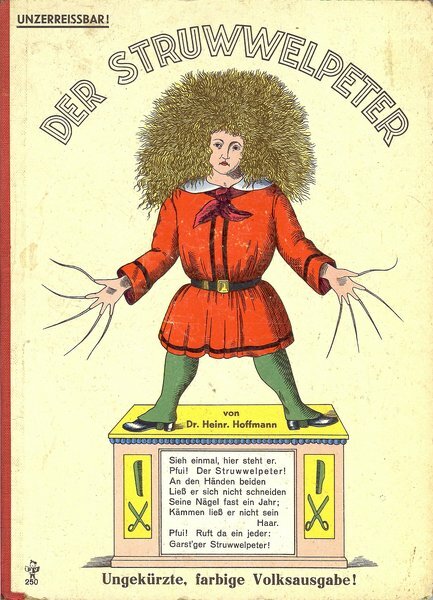 A child from a classic German storybook of cautionary tales. In the story, this boy refuses all forms of personal hygiene and has no friends. But you know, he was SAFE. Probably. 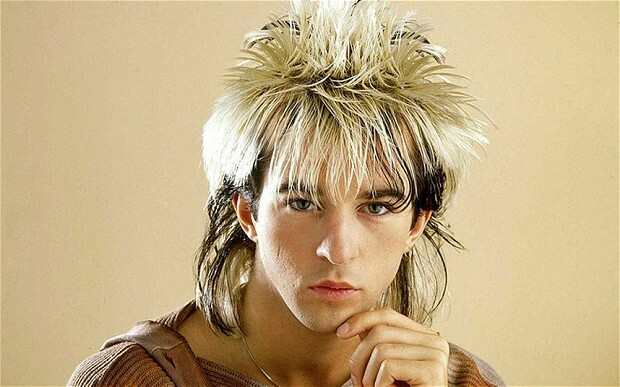 Though maybe he did get electrocuted a few times… what do you reckon? The fifth biggest killer of kids is drowning in standing water. A mere 2 inches is enough to drown in. That means paddling pools and baths, and the kitchen sink filled and ready for washing the dishes. Never wash dishes. As I already advised, eat food straight out of the packets wherever possible. Tell the kids you can’t go to the trouble of setting up a paddling pool, for their own protection, and stop washing them so often as well. Once they get intolerably grimy and smelly, and the moaning for outdoor water play becomes too annoying, you could kill two birds with one stone by safely hosing them down in the garden. Just remember, safety first: A smelly kid is a safe kid. There is also a significant number of people who die each year from walking through their large glass patio doors when they are closed, thinking that they are open. 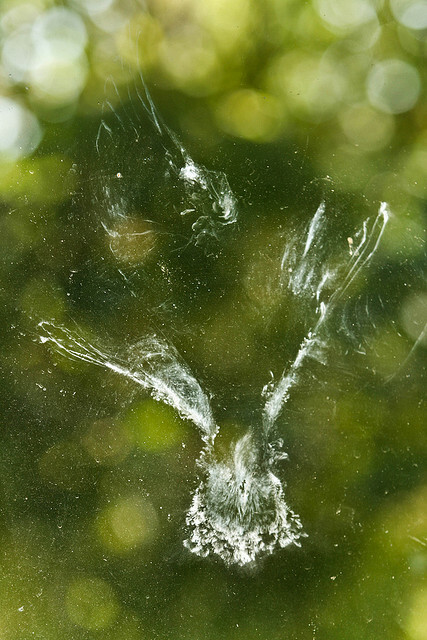 There is obviously only one cause of this tragic and utterly avoidable death: the windows are too clean. If you make sure you never clean them, but leave them broadly coated in greasy fingerprints, birds’ poo, children’s nose prints and, where applicable, dogs’ snot, then it will be very easy for everyone in the household to see when the doors are closed. Just remember this handy motto: Dirty patio doors save lives. Well, those are my tips for domestic safety. And, of course, last but not least, don’t clean the toaster! Ever! We Sicilians Want Some Privacy, Capeesh? This is why I refuse to do housework, it is way too dangerous. I think you were saved because most Italian houses can only use 3KW at a time. Did you have anything else plugged in when you plugged your hand into the toaster?? Well, my house blows its fuse if you turn on the kettle and the telly both at once so maybe it’s actually 1kw down here in Sicily. Hubby was in the bathroom, probably using his electric razor. So are you saying his beard eradication may be what actually saved my life? Brilliant, as ever! I am grateful for your tips on staying safe in the home and will have not the slightest difficulty in following them. Stay grubby, stay safe. Fabulous post, gave me a good giggle 🙂 I hope you’ve got things back under control, although it really is time for a comeback of the ultimate Boney-M hairdo…..
Oh definitely! I’m a huge BoneyM fan. In fact, if you read my about page, it was my BoneyM vinyl albums that I had to relinquish when moving – I just couldn’t imagine being able to find a vintage record player in Sicily that would play them. Rather tragic. And get thee thy Boney M albums back. Sacrilegious to relinquish them! Yes, I’ve been strangely off toast since then. Not sure why. This is a good case for a cleaning lady. Let’s leave the housework to the professionals! I do believe we are housework-kindred spirits!!!! Finally! A good excuse to stop cleaning so much. P.S. I’m glad you’re okay. Geez!! I knew it! Thank you for sound advice and hilarious story-telling. I shall be back. Wow! Thanks for sharing, I’m sharing this with my husband! He HAS to know why I don’t clean! Thanks for saving lives!